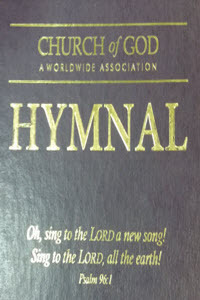 "Church of God a Worldwide Association Hymnal (2011)"
019 How Excellent Is Thy Name! 021 I Will Praise Thee, O Eternal! 022 Declare His Works to All Nations! 024 Who Shall Dwell On Thy Holy Hill? 054 Joyfully Sing and Praise God! 059 His Name is Great!